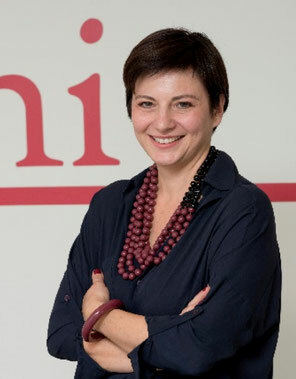 Federica Sabbati is Secretary General of the association of the European Heating Industry (EHI). She represents the interests of European manufacturers which are market leaders in the production of heating systems. EHI members manufacture all space and water heating technologies (boilers, heat pumps, micro combined heat and power, biomass, solar thermal, heat storage systems) as well as system integrators (smart controls, thermostats etc.) and heat emitters (radiators and surface heating and cooling). The systems produced are for residential as well as commercial and industrial purposes. Born in Trieste, Italy, Federica Sabbati has been working in an international political and business environment for almost 20 years, in Brussels and London. Her previous responsibilities include being secretary general of the Liberal International and the European liberal democrats political party (now ALDE). She also worked for the Coca-Cola Company Europe in public affairs, dealing, amongst others, with corporate social responsibility issues. Federica holds a university degree in International Relations from the University of Trieste (Gorizia base), Italy, and a Master’s Degree in Russian and Post-Soviet Studies from the London School of Economics.